I now own a VHS copy of Love Story, purchased from the discard shelf at my local library. FORTY-FOUR YEARS AGO, with the release of the film Love Story, those words quickly became a part of pop culture. They rolled off the lips of adolescents like me, a then high school freshman, who could fall easily, blissfully in love with the latest movie star featured in Tiger Beat magazine. Now, four-plus decades later, I don’t quite believe the “love means” phrase spoken twice in the award-winning Paramount Pictures flick starring Ryan O’Neal and Ali MacGraw. Love does mean asking for forgiveness when you’ve wronged a loved one. 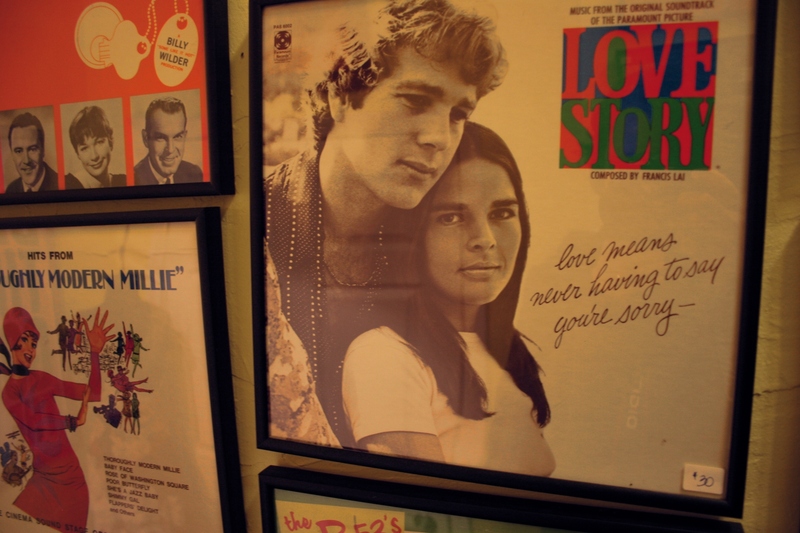 Despite that change in perspective, I still rank Love Story by writer Erich Segal as one of my all-time favorite movies. The plot, on the surface, seems hopelessly simple: Wealthy Harvard student Oliver Barrett IV falls in love with Jennifer Cavelleri, a Radcliffe student from a working-class family. Oliver’s father disapproves of Jenny and a rift develops between father and son. Eventually, Jenny dies of leukemia. As a dreamy-eyed teen, I failed to see beyond the surface plot. But there’s so much more depth to this film than a romantic story that ends tragically. It just took decades, and numerous times viewing this movie, to figure that out. I had to get past the relationship between Oliver and Jenny, past my sadness over Jenny’s death, to understand. So the last time I watched Love Story, just weeks ago, I really listened to the dialogue. “I never see his face,” Oliver says of his father. “Does he wear a mask?” Jenny asks. “In a way,” Oliver replies. That brief exchange speaks volumes to the stiff and formal relationship between Oliver and his father. The elder Barrett expects much of his son. But he does not expect him to marry below his social class. “I mean she’s not some crazy hippie,” Oliver says of Jenny. I laugh when I hear that now. “Hippie” sounds so dated. But in 1970, when Love Story hit the big screen, rebellious, anti-establishment, free-loving, independent-thinking young people were, indeed, pegged as hippies. “If you marry her now, I’ll not give you the time of day,” Oliver Barrett III tells his son. At this point in the movie, I nearly stand up and cheer, if not for my sadness over the broken relationship between father and son. Life is too short to sever ties with loved ones over differing opinions and expectations. Life is too short to choose money over love. Surprisingly, I have not wept this time while watching Love Story. I wonder why. Perhaps it is because my approach to the film has been more analytical than emotional. I am also seeing, for the first time, two love stories (or lack thereof)—one between a man and a woman and the other between a father and son. And I have been caught up in noticing the details—the rotary dial phone, the over-sized dark eyeglasses, the mini-skirts—that denote this as a 1970 film. I am taking in the beautiful winter scenery; the instrumental theme music, the lyrics “How do I begin to tell the story of my love,” replaying in my mind; and the one word in the film, “preppie,” that still irritates me after four decades. I am regretting, too, that I no longer have the black and white poster of Ryan O’Neal and Ali MacGraw that once hung above my bed, in the lime green room with the candy stripe carpeting. 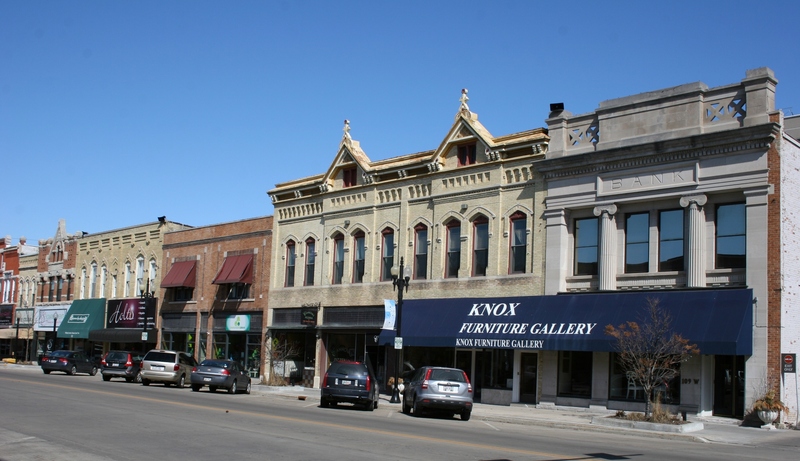 CLICK HERE TO READ how Love Story connects to a shop in Neenah, Wisconsin. 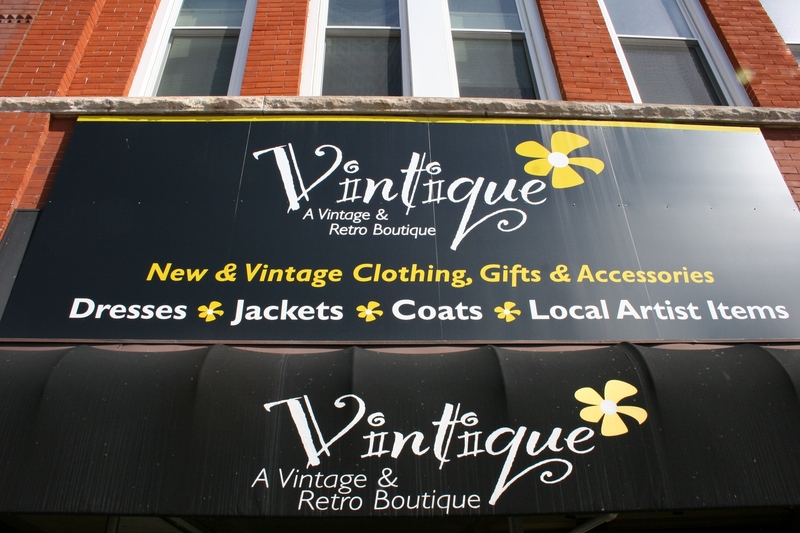 The signage on Vintique, 131 West Wisconsin Avenue, Neenah, Wisconsin. 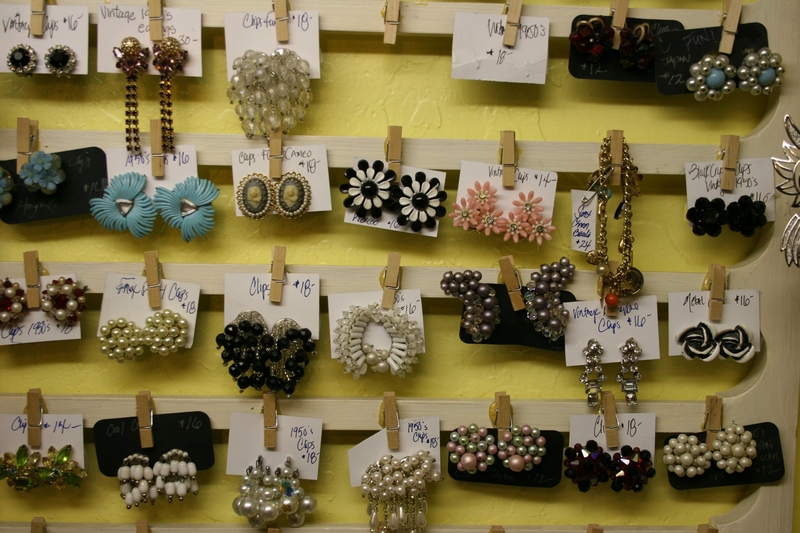 I LOVE THIS BOUTIQUE in downtown Neenah, Wisconsin. 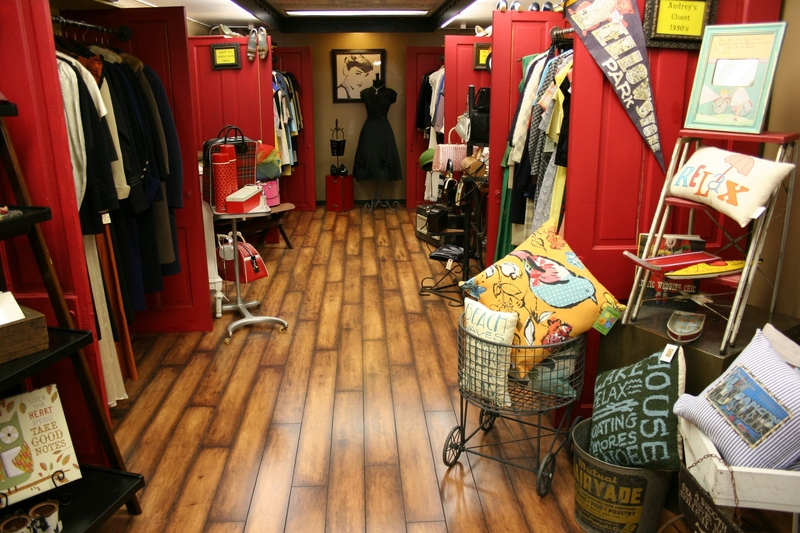 Audrey’s Closet, likely named after Audrey Hepburn and not me, holds vintage 50s clothing. 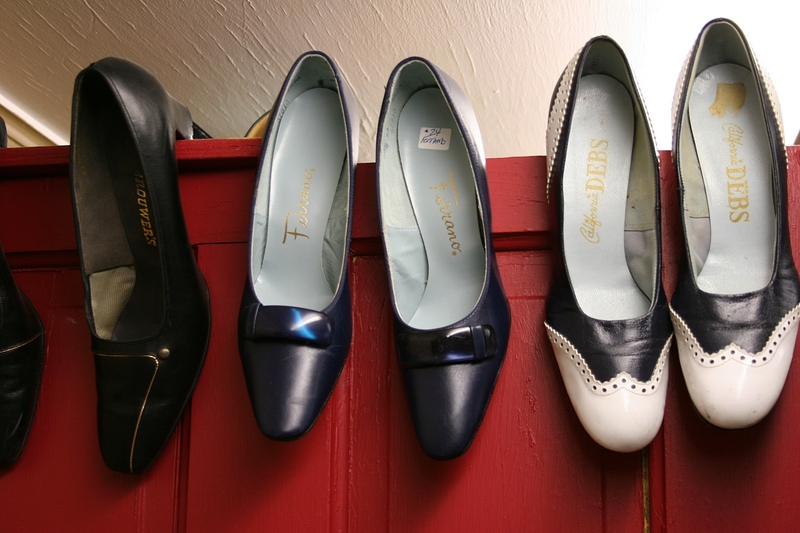 Not just because a section of vintage 1950s clothing is tucked into a space labeled Audrey’s Closet. And not simply because of the Love Story album cover framed and posted on a stairway wall. Love Story, released in 1970, rates as one of my favorite movies. 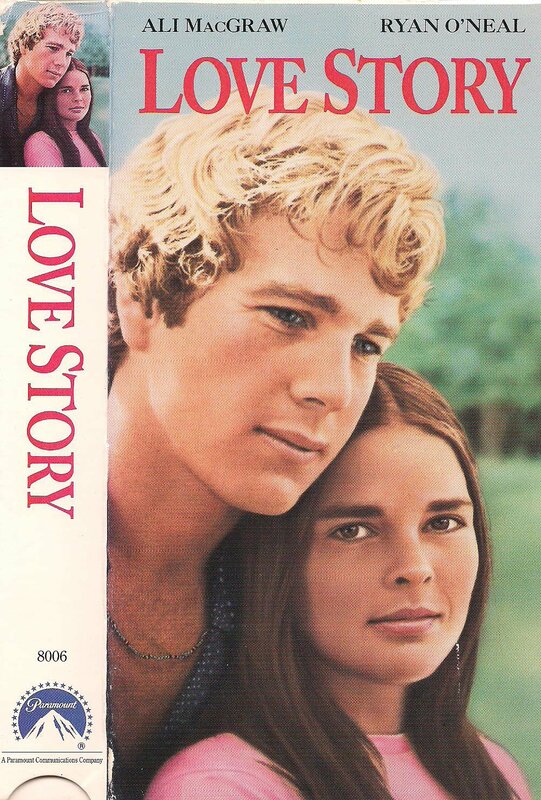 I was 14 then, falling for Ryan O’Neal and this heart-tugging love story co-starring Ali MacGraw. I tacked a poster of the couple onto the lime green walls of my basement bedroom with the candy striped carpet. 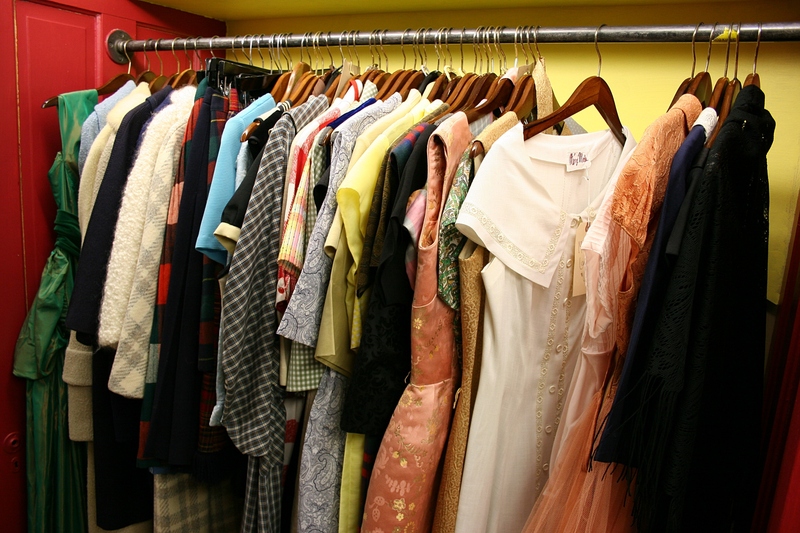 A vintage 1950s wardrobe in Audrey’s Closet. 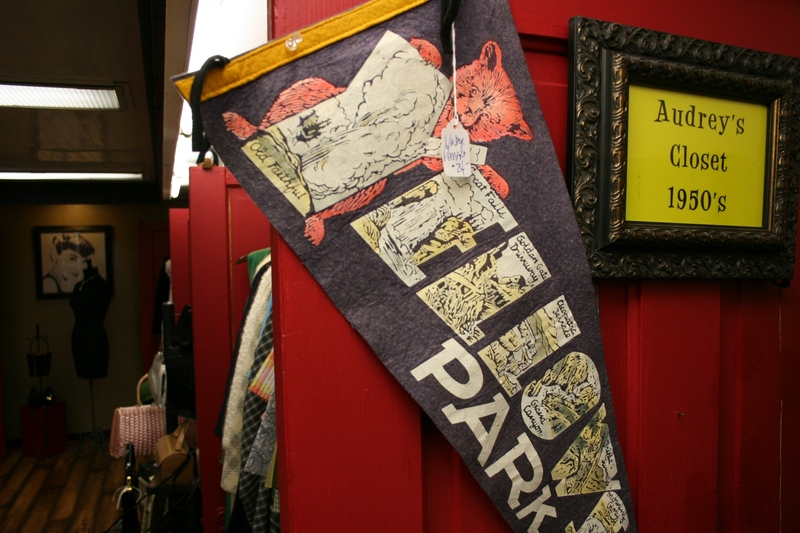 Vintique, LLC, elicits this type of response—this embracing of the past—with the merchandise offered here. 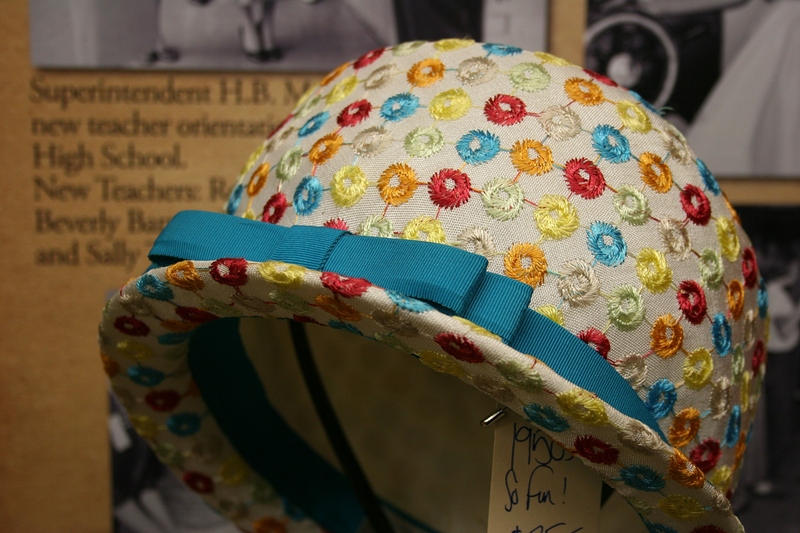 If you appreciate vintage, antique, boutique and unique, then this is your kind of shop. Vintique. My daughter tried on the elegant black dress along the far wall in this second floor room full of vintage and retro clothing and other merchandise. If not for my daughter Miranda, who lives in neighboring Appleton, I likely never would have discovered this shop in the heart of a cozy downtown that features a mix of historic and modern buildings. How well she knows me and my appreciation of vintage. 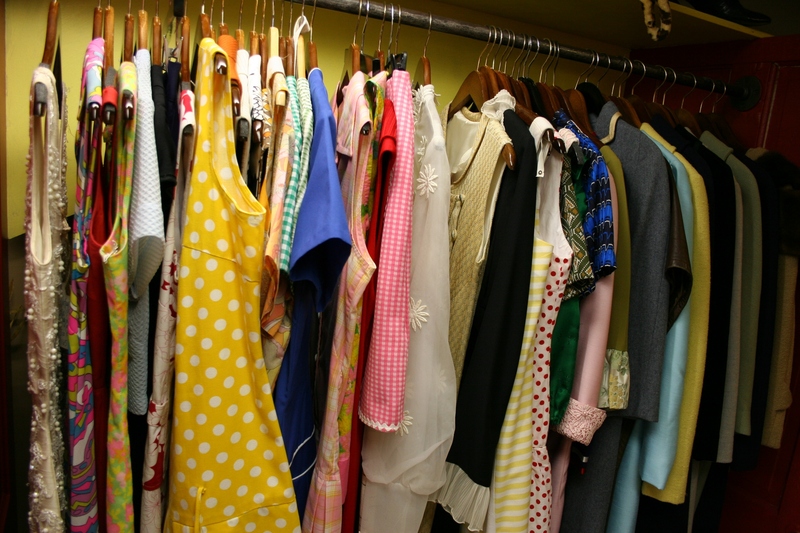 Clothing from the 1960s found in the Laugh-in & Goldie’s Style Closet. 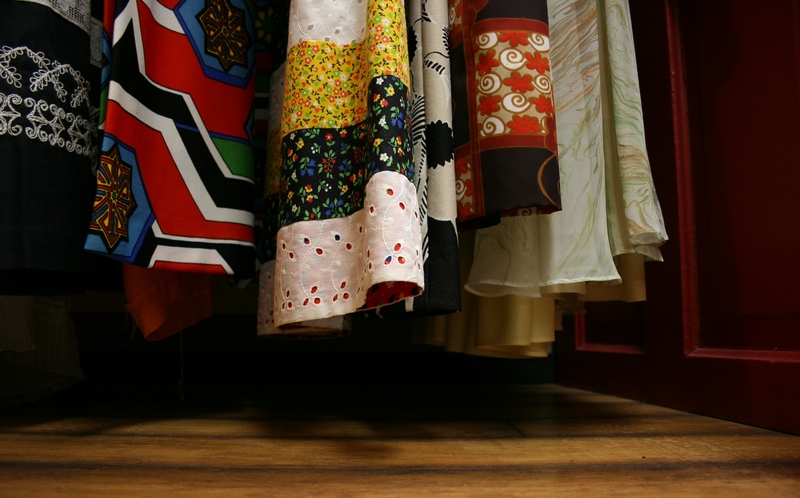 Now if only I was a few decades younger and dress sizes smaller, I’d feel comfortable in the actual and replica retro and vintage clothing sold at Vintique. But I’m well past the age of trying to look young and hip. Some older women can carry that off; I’m not one of them. 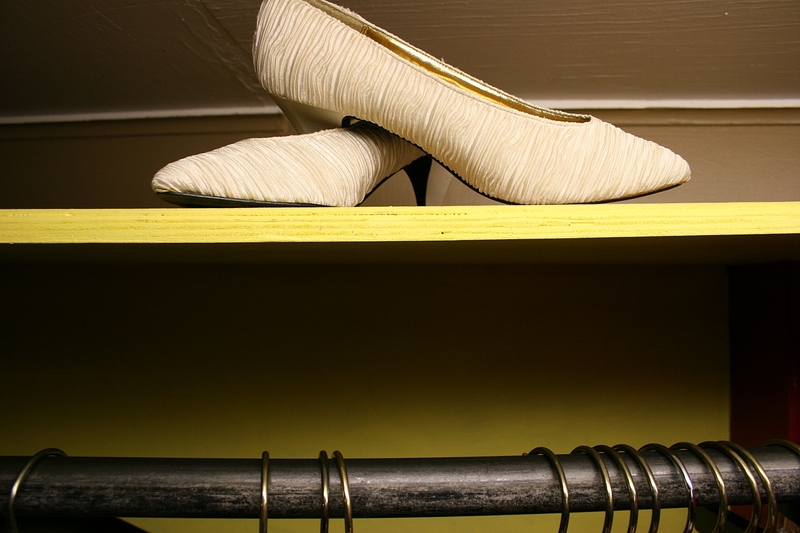 Vintage white pumps for a special occasion perch on a shelf above a rack of clothes. Not that age should stop anyone from shopping Vintique. Had I really searched, I’m certain I would have found something that fit me and suited my style and age. 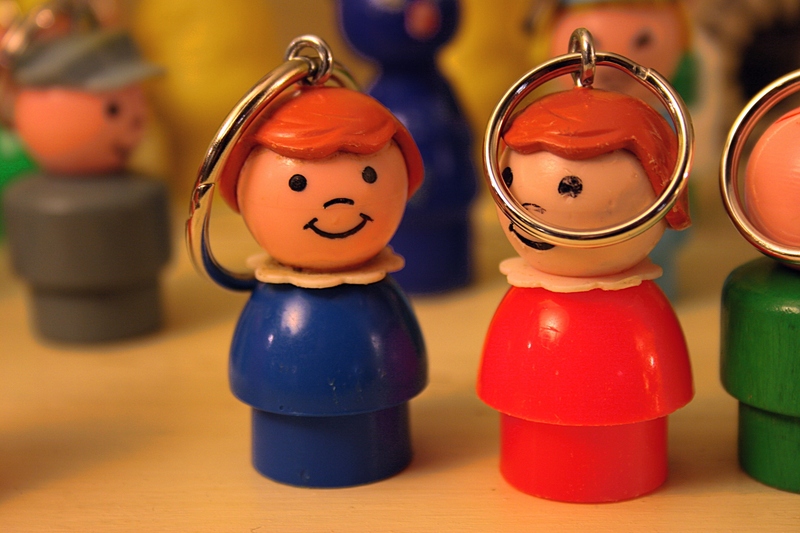 Little People key chains; pillows; art; and more. 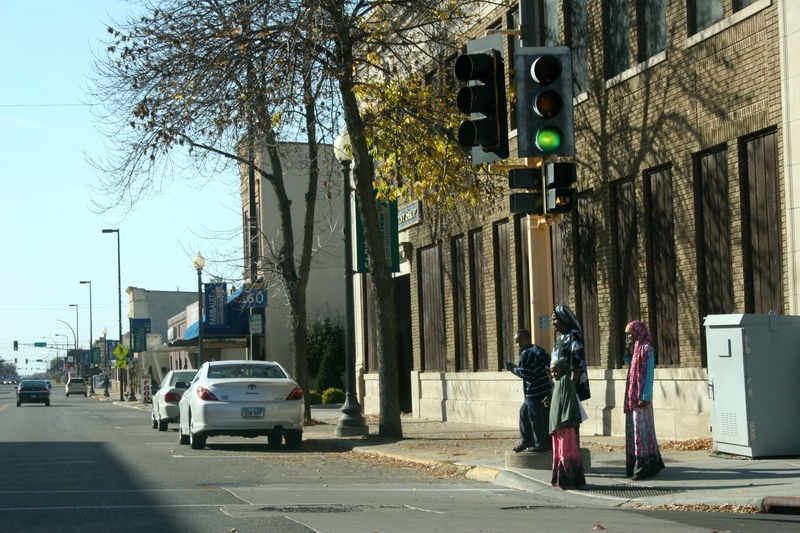 A section of Wisconsin Avenue in downtown Neenah, Wisconsin. Vintique, at 131 West Wisconsin Avenue. 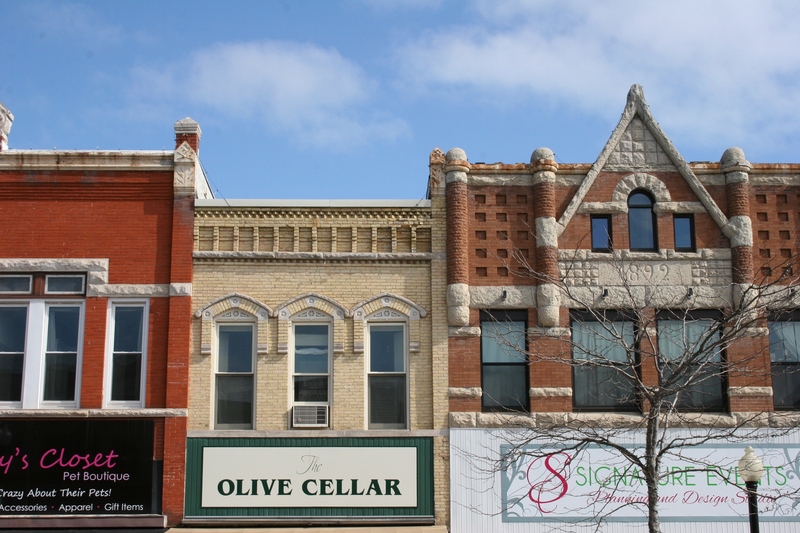 Downtown Neenah features historic buildings. That’s in Neenah, south of Appleton, southwest of Green Bay. Do I always like the answer? No. At least not until I determine why God responded as He did. And sometimes I never can quite decipher what He’s thinking. 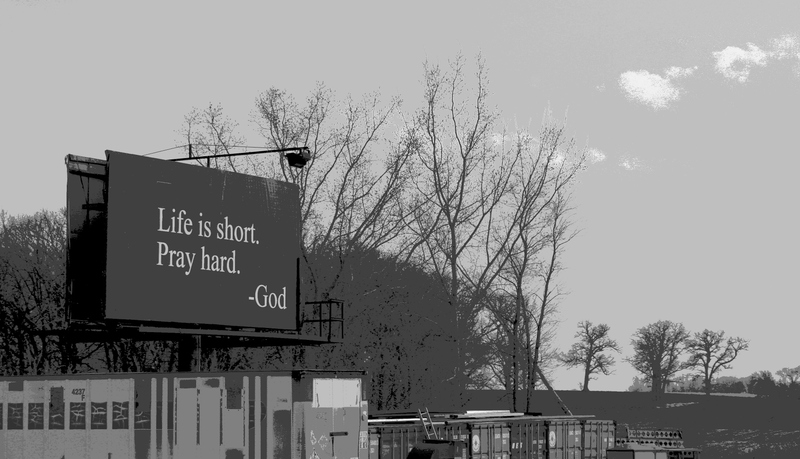 I’m pretty certain, though, that God is way smarter than me. Way smarter. Patience and trust, I’ve learned, are keys to a healthy prayer life. I’m still learning. God is patient and a good listener. For that I am grateful. 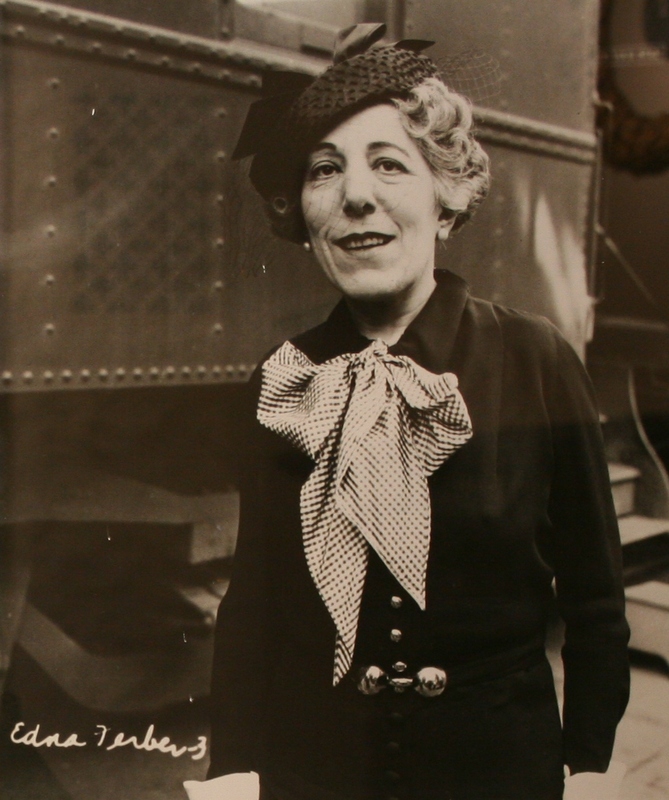 Edna Ferber portrait, photographed from a display at the History Museum at the Castle. I should. I’m a writer. But I didn’t. Although now I do. Thanks to an exhibit at the History Museum at the Castle in Appleton, Wisconsin, followed by additional online research, I now know some basic facts about this Pulitzer Prize winning author. In 1925, Ferber won a Pulitzer for her novel, So Big. Set in turn-of-the-century Chicago, the book tells the story of widowed Selina DeJong and her struggles to support herself and her son. That novel is now on my must-read list. I think I would appreciate the writing of a woman “hailed for sensitively portraying working Americans, for calling attention to women’s roles in American history, and for writing with a journalist’s knack for precise vocabulary and vivid description,” according to info posted in the museum exhibit. She sounds like one strong woman. At age 17, Ferber became the first woman reporter for the Appleton Daily Crescent. Seventeen. Her work as editor of her Appleton high school newspaper apparently impressed the Crescent editor. Over a 50-year span, this prolific writer would pen a dozen novels, 11 short story collections, six major plays and two autobiographies. Her best known works include Show Boat, made into the celebrated musical in 1927; Cimarron, adapted into the 1931 film which won an Academy Award for Best Picture; Giant, a 1956 Hollywood movie; and that Pulitzer novel, So Big. Now that I can really appreciate. READERS, have any of you read Ferber’s work or seen the films inspired by her writing? Click here to read Ferber’s biography published on the Appleton Public Library website. 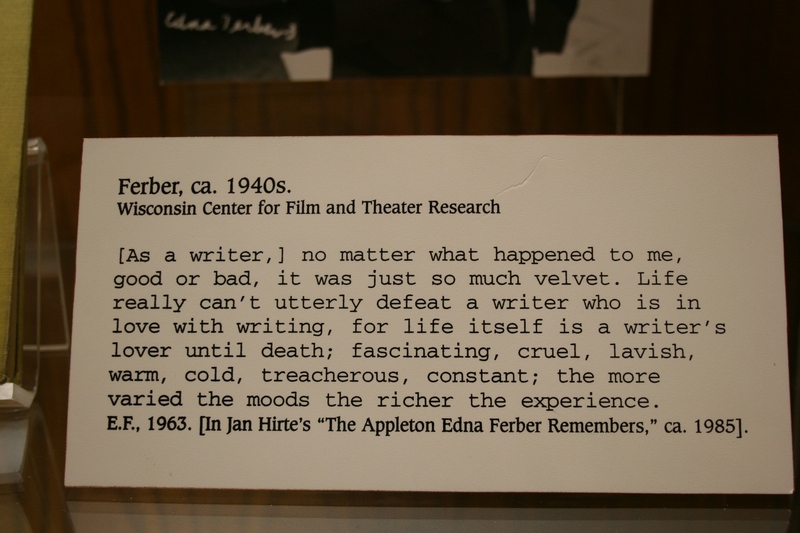 This quote, showcased in the History Museum at the Castle display, rings true for me as a writer, too. 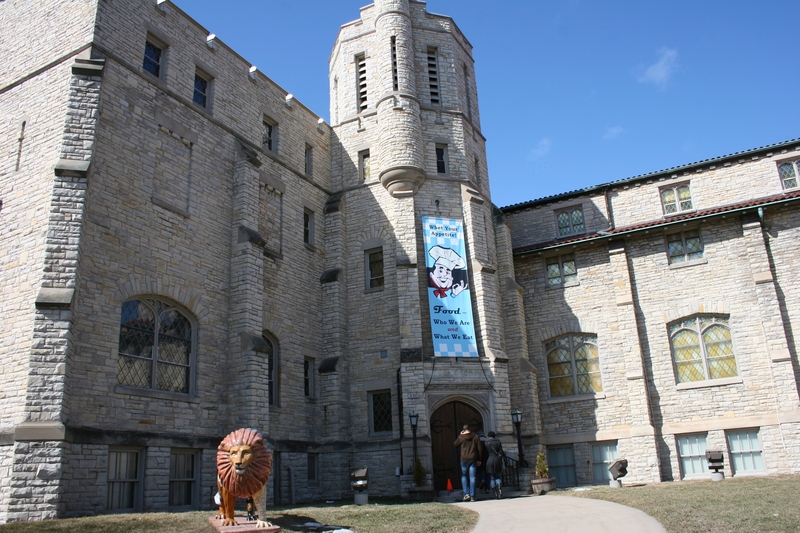 History Museum at the Castle, 330 East College Avenue, Appleton, Wisconsin, is housed in an historic former Masonic Temple. At my first reporting job out of college, I wrote my stories on a Royal manual typewriter. 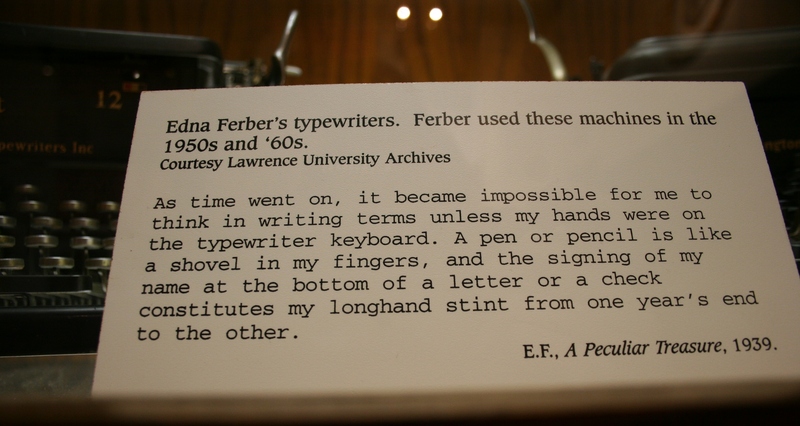 In this quote from Ferber, today I’d replace “computer” with “typewriter” when referencing my writing. 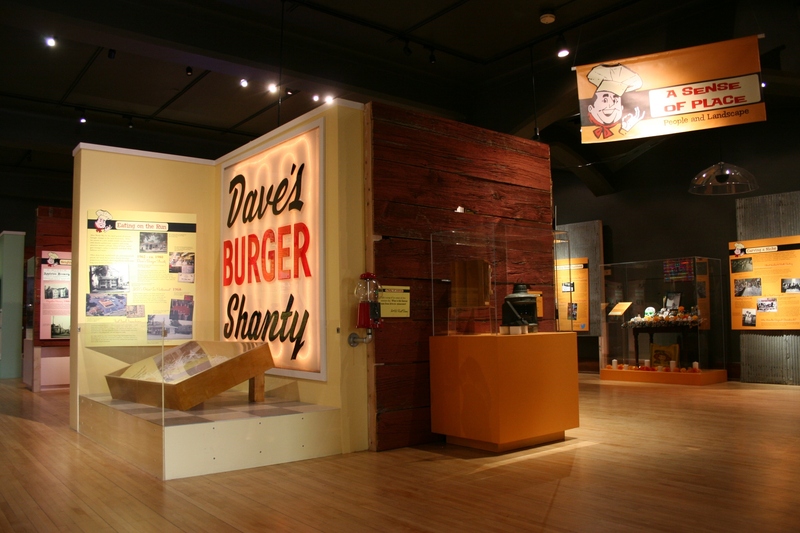 CLICK HERE to read a previous post about a Wisconsin food exhibit at the History Museum at the Castle. And check back for more posts from Wisconsin, coming soon. Wisconsinites are crazy about their Packers. Cheese is, indeed, big in Wisconsin. And, finally, Wisconsin residents love their beer. I base this on observations such as green and gold brat buns sold at an Appleton grocery store where staff wear Packer attire on game day; liquor stores directly connected to grocery stores, walk-in beer coolers at convenience stores and an abundance of bars everywhere, seemingly packed on game day; a decrease in highway traffic during Packers games; frequent homemade roadside signs advertising brat fries; and busy specialty shops focused on selling cheese. 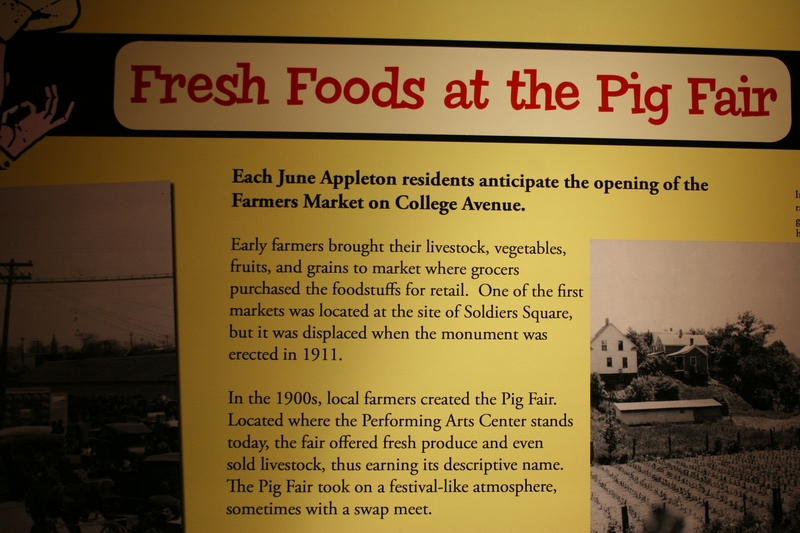 A banner welcomes visitors to the featured exhibit on food at the History Museum at the Castle, 330 East College Avenue, Appleton, Wisconsin. 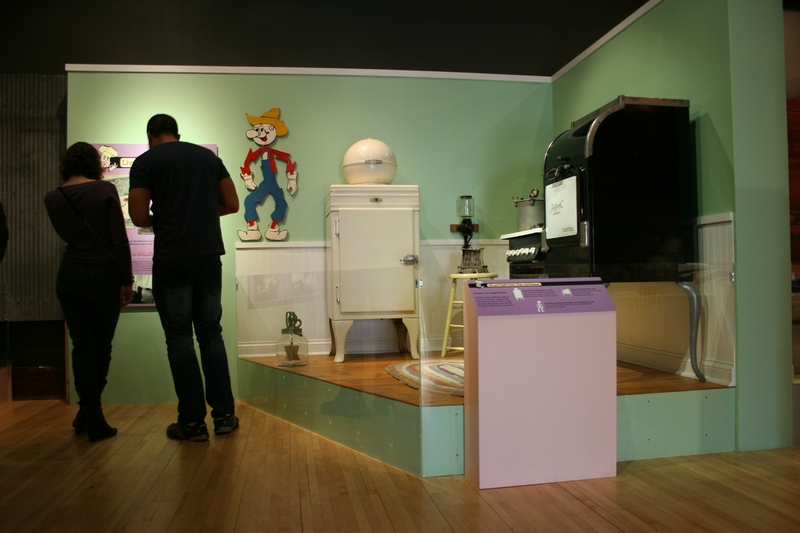 Now an exhibit, “Food: Who We Are and What We Eat,” at the History Museum at the Castle in downtown Appleton (that’s in eastern Wisconsin south of Green Bay) confirms my observations and conclusions about Wisconsin. In an interactive portion of the exhibit, in a fish house, visitors can try spearing a sturgeon. In this case, my daughter “speared” a catfish instead by thrusting a “spear” at the shadowy fish lurking below the water’s surface. You best know your fish. 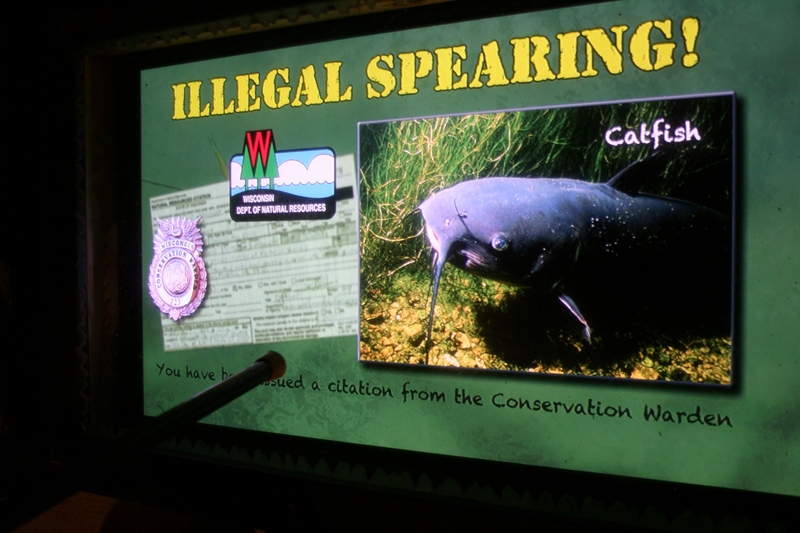 The informative and interactive exhibit—try spearing a sturgeon—explores the origins of iconic Wisconsin food traditions. 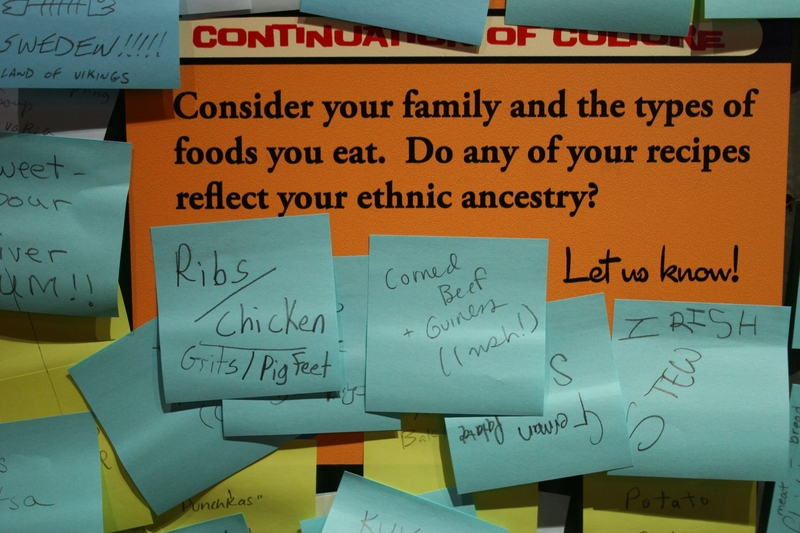 Visitors uses post-it notes to list favorite foods reflecting their ethnicity. “From sauerkraut to egg rolls, each food has a story to tell about our regional values and community-making,” so notes a line in the wealth of exhibit information. I’ll admit that I didn’t read all of the info. I am more a visual and interactive learner in a museum setting. But I appreciate the depth of research summarized here. 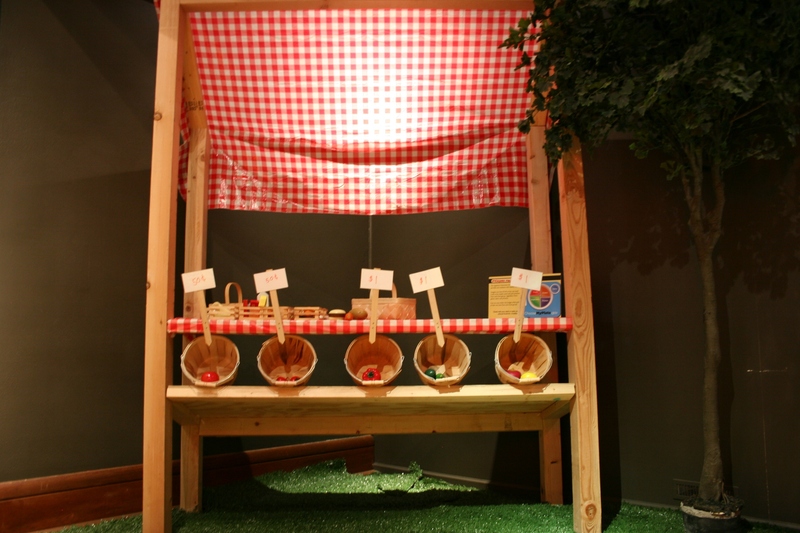 A snippet of the expansive food exhibit. 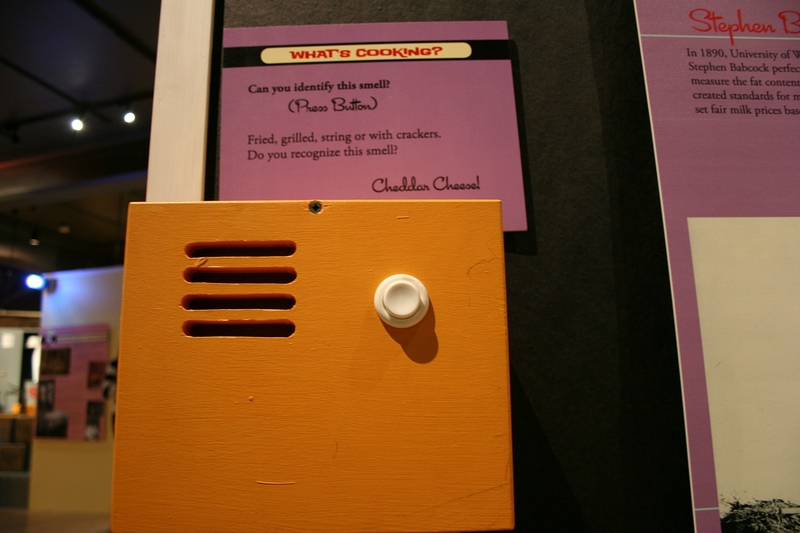 Via museum magic, you can press the button and smell cheddar cheese wafting from the golden box. 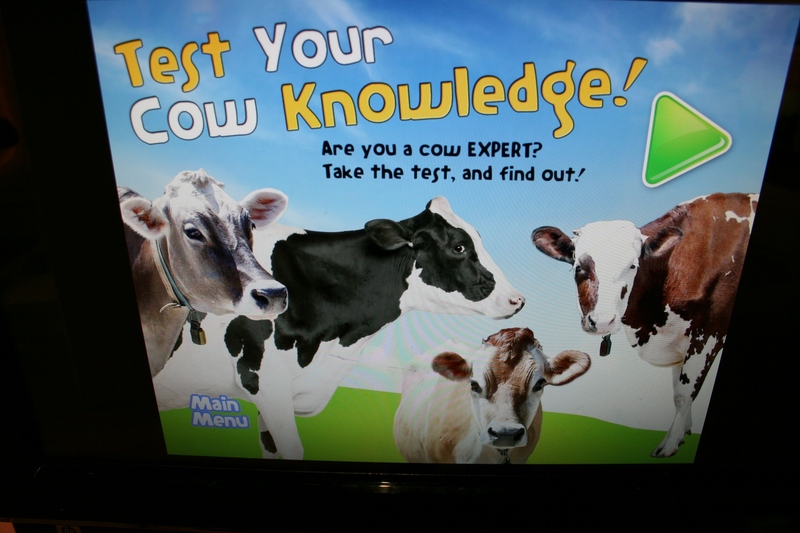 Test your knowledge of cows. 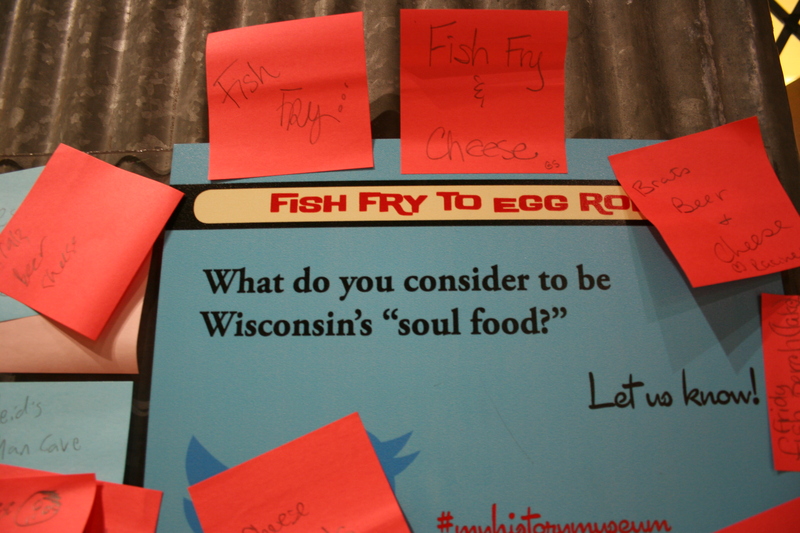 See how visitors answered this question about Wisconsin’s “soul food.” Cheese, brats, beer, fish fry… Add your own answer. 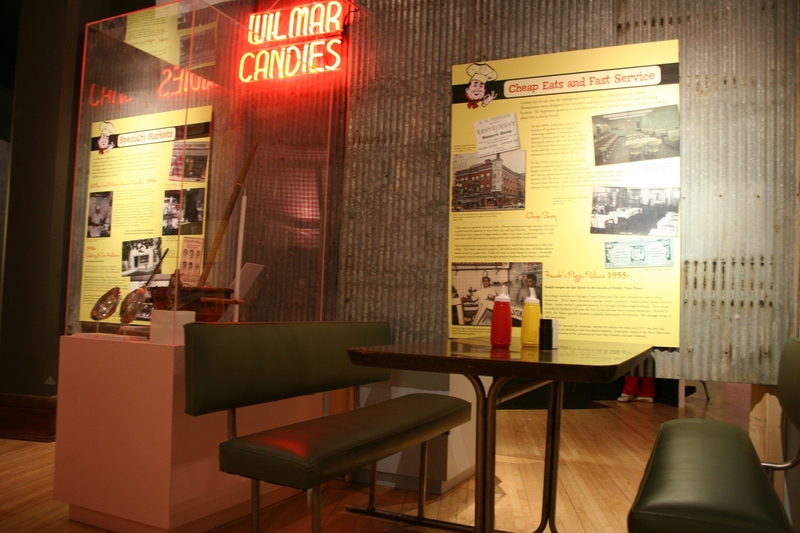 A portion of the exhibit focuses on place, like burger joints and supper clubs, etc. Reminisce about supper clubs and burger stands. 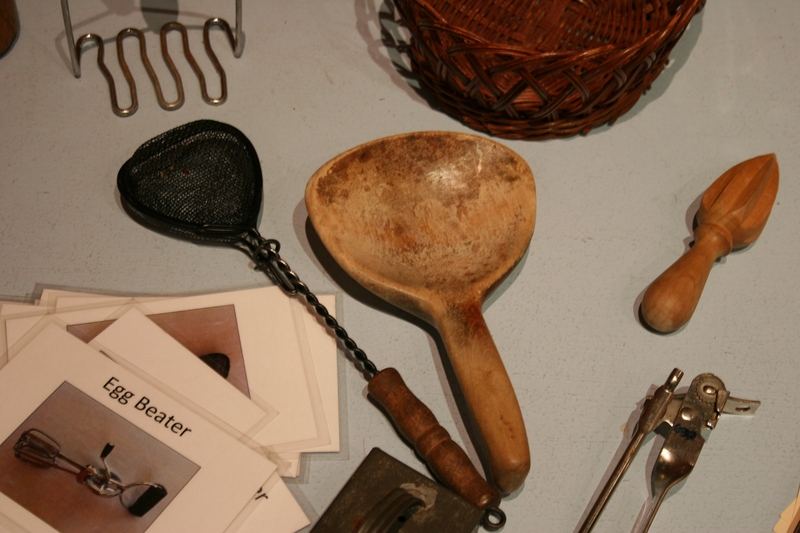 Old kitchen utensils for visitors to identify. 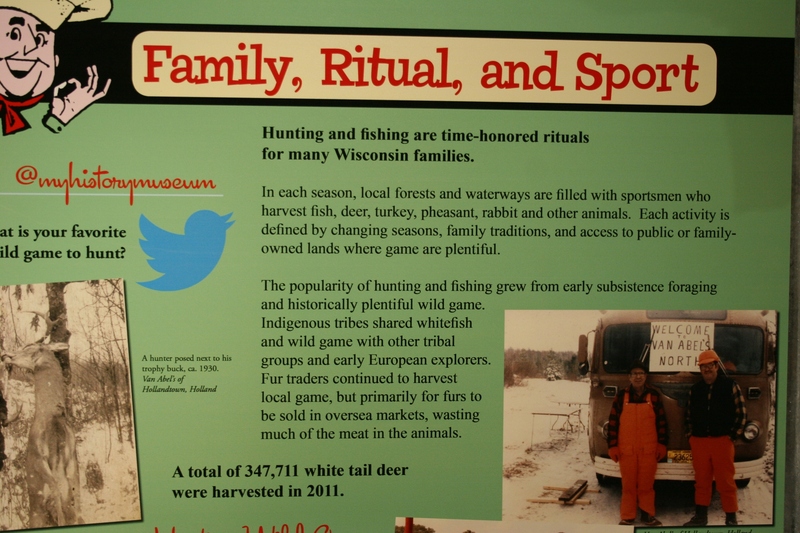 Hunting and fishing are a major part of sports and food culture in Wisconsin. 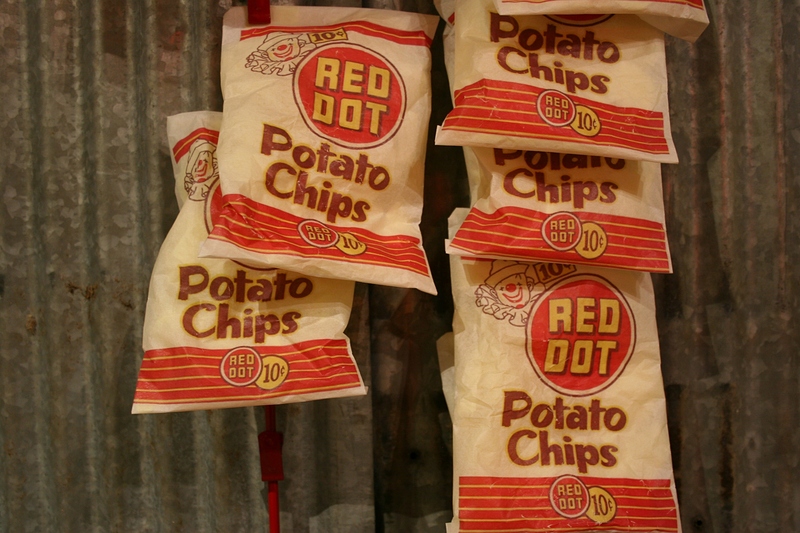 Red Dot potato chips were produced by Red Dot Foods of Madison, Wisconsin, and were once a top potato chip brand. 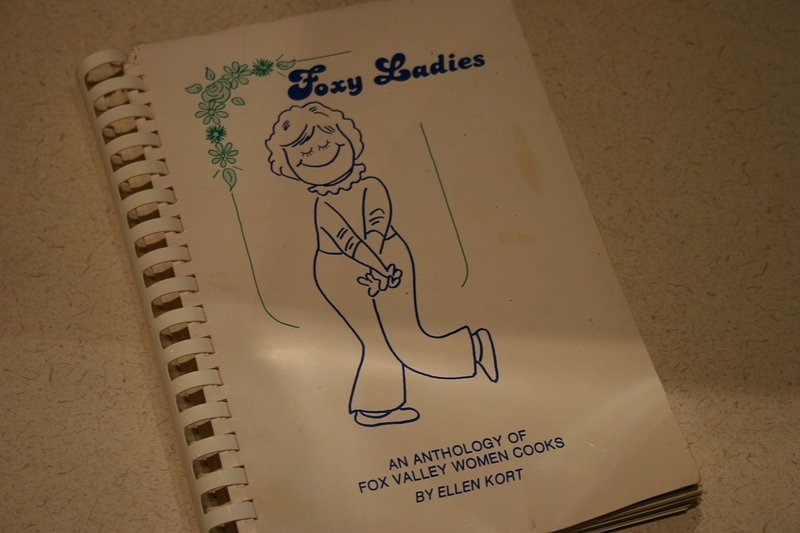 Cookbooks are on display and vintage recipes available for the taking at the exhibit. The Appleton, Wisconsin, region is known as the Fox Valley after the Fox River which runs through the area. In the Marketplace, visitors are encouraged to choose healthy fresh foods. 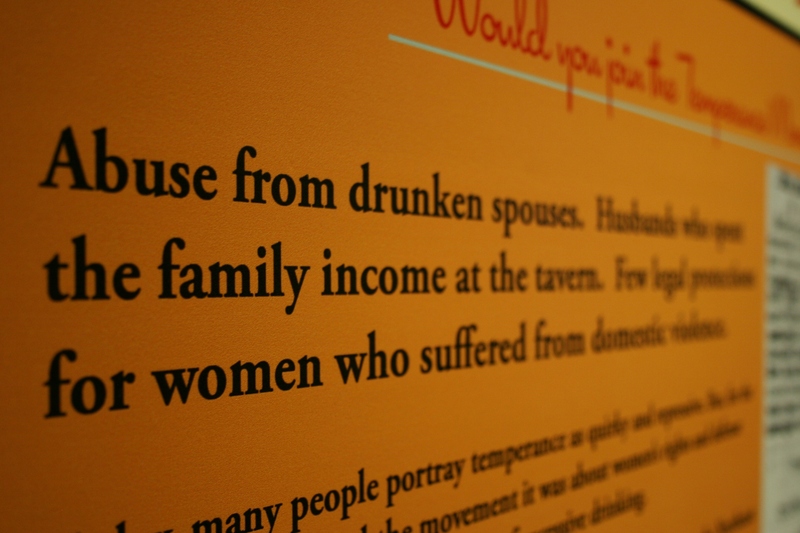 Another display focuses on the empowerment of women via the Temperance Movement. One of the Appleton Police Department’s major objectives in 2014 is to combat domestic violence. The exhibit on the right focuses on supper clubs. Visitors are invited to write characteristics defining a supper club. Answers included, among many others, pickled beets and herring at salad bar; dim lighting; cocktail hour; tavern in front, buffet in back; and old fashion jukeboxes. A section on electricity highlights Appleton as having the first home electrified by water power in 1882. 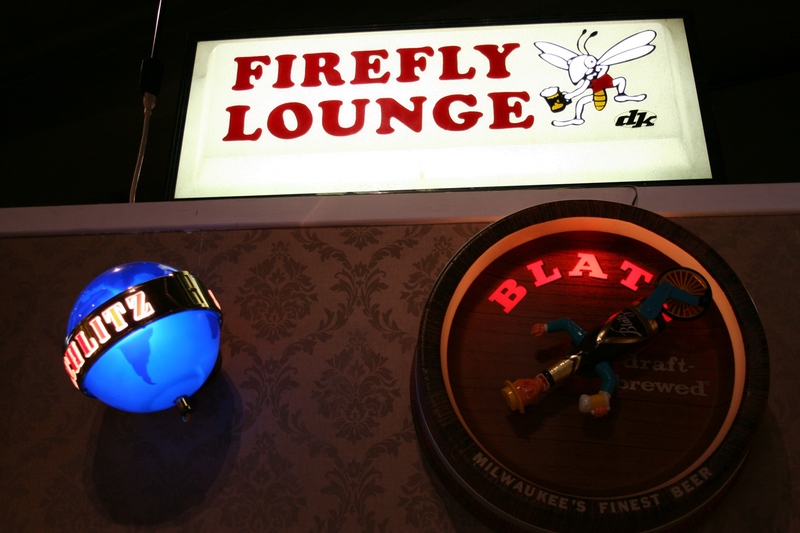 And, yes, that’s Reddy Kilowatt there on the wall. And then afterward, grab a cold one. It seems only fitting to honor Wisconsin’s love of brats, beer, cheese and Packers. Cheers. The impressive and historic History Museum at the Castle. FYI: The “Food: Who We Are and What We Eat” exhibit continues through the fall of 2014 at the Castle. 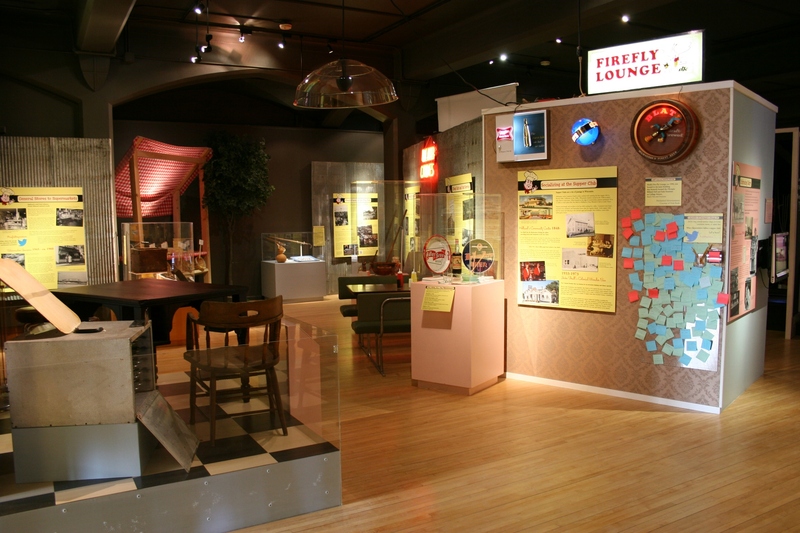 There’s much more to see here, including exhibits on local history and a permanent Harry Houdini exhibit. Houdini claims Appleton as his hometown. 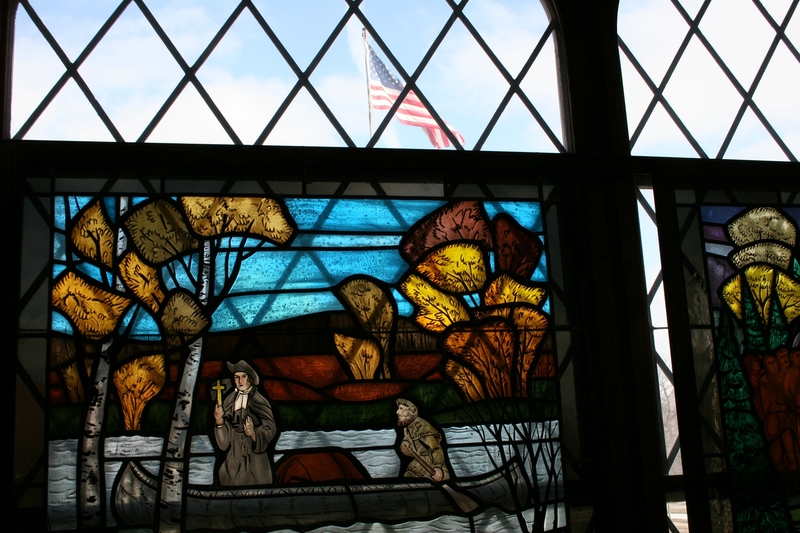 Don’t miss the incredible stained glass windows in the Siekman Room. 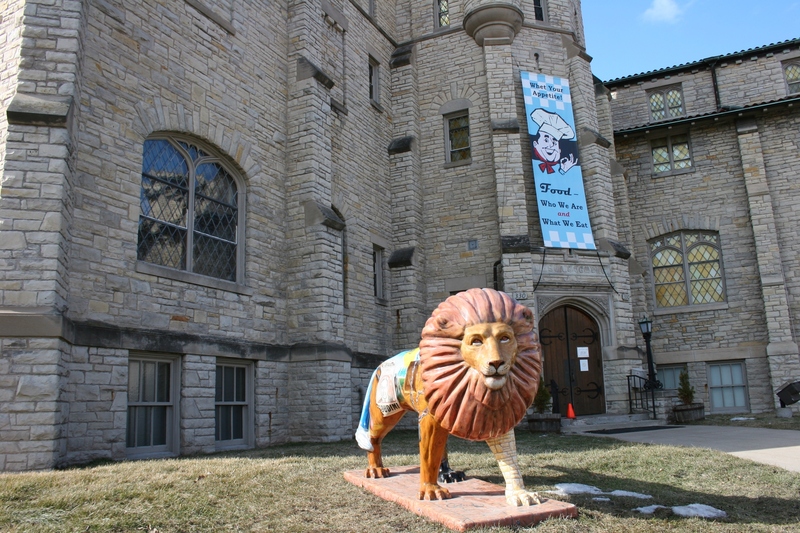 The castle itself is a lovely complex built in 1923 as a Masonic temple and today is on the National Register of Historic Places. 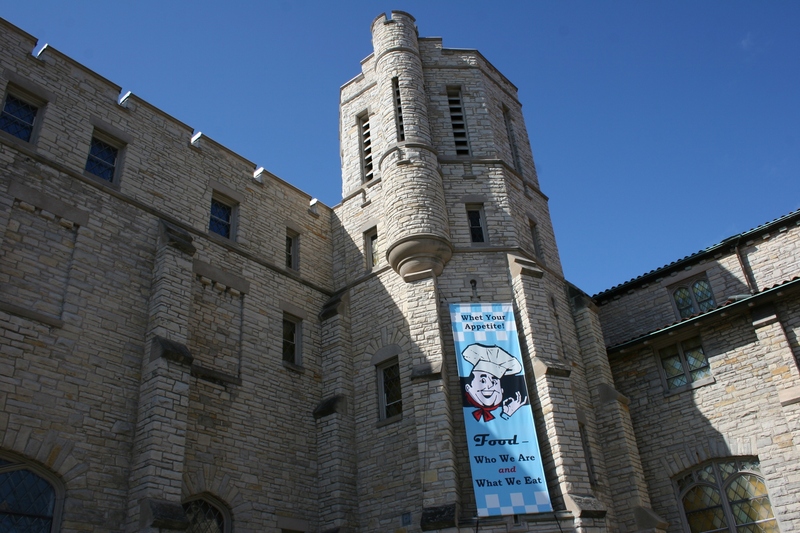 Click here to learn more about the History Museum at the Castle. YOU CAN SEE IT, sense it, almost smell and hear it—the anticipation of spring planting. Along Minnesota State Highway 19 between Redwood Falls and Vesta. Bare and stubbled fields stretch for miles and miles across southwestern Minnesota, earth turned to the warming sun, awaiting the seeds of spring. Only remnants of winter remain in scattered patches of road ditch snow. Along Brown County Road 29 southeast of Morgan. 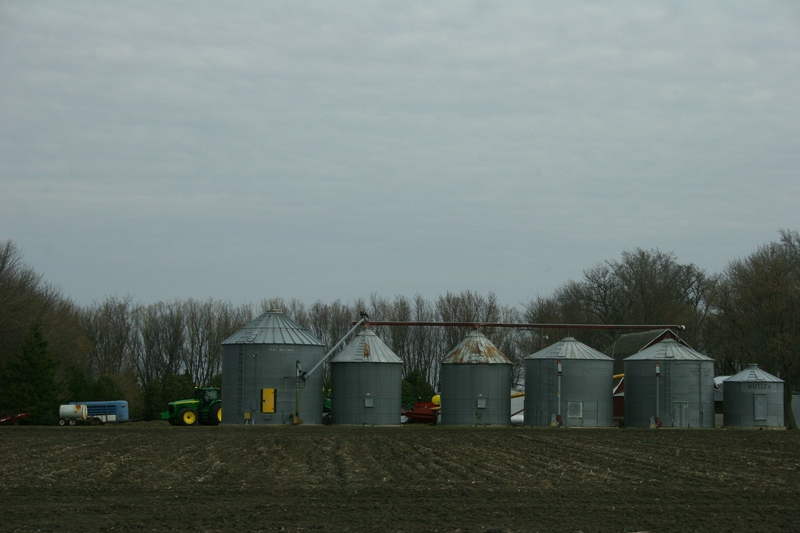 On the edges of farm yards, tractors and planters and other implements sit, pulled from machine sheds. Greased. Oiled. Ready. Farmers wait. Thawing spring rains fall. Frost rises from the ground. Drying winds whip across the land. 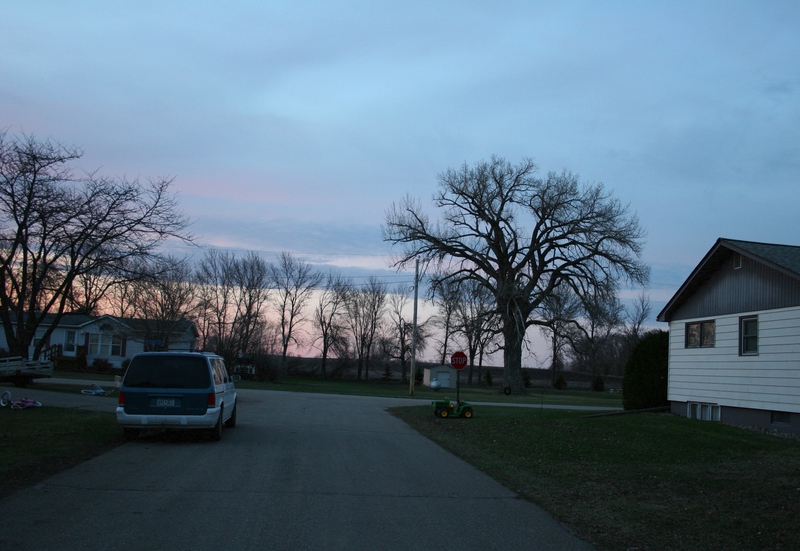 A child-size John Deere tractor photographed at dusk a yard away from a field in my hometown of Vesta. And the days unfold into the season of renewal and hope and sowing of seeds.